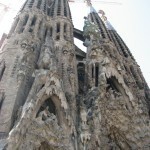 Sagrada Familia is probably the most famous attraction in all of Barcelona, and it is often used as the symbol of the Catalan capital. Barcelona is a city testifying about what an amazing architect Antoni Gaudi was, and of all his work, Sagrada Familia is the masterpiece! The church is famous due to many reasons. One of them is that it never gets finished. 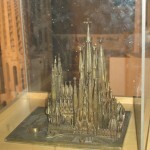 Antoni Gaudi started his work ont he church in 1883, and later he even moved into the church to oversee the ongoing work himself continually. 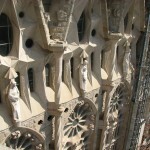 Gaudi himself die din 1926, but since then the work keeps on going. Currently the church is expected to be finished in 2026, but time will show that they for sure not will be able to finish by then either! 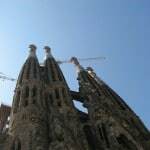 In 2006 Sagrada Familia was the most visited tourist attraction in Spain, even more popular than for example the Prado museum in Madrid. The church was consecrated a basilica by the pope November 7th, 2010. 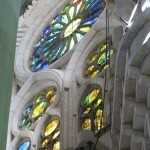 The church is not in the very center of Barcelona, but a metro station is located next to the church. 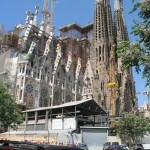 Sagrada can easily be reached on foot, but then you need to prepare for a 20 minutes walk!